Yes, that's right, I traded one KISS snow globe with Corbin Bernsen for one role in a movie. Now, I'm sure the first question on your mind is "Why would Corbin Bernsen trade a role in a film for a snow globe? A KISS snow globe." Well, Corbin happens to have arguably one of the largest snow globe collections on the planet. Arguably. I came up with an idea to help settle that argument. More on that after I run down what's up for grabs here. -one paid, credited, speaking role in a film by Public Media Works. -room and board during filming. -return airfare from anywhere in the world. -a high five from me, and if you're lucky and he's in a good mood, Corbin Bernsen. I can't stress how much of an awesome opportunity this is to pretty much every aspiring actor on the planet. This is going to be tons of fun for everybody involved. Okay, now back to the snow globes and the settling of arguments. I've got a plan on how we can make Corbin Bernsen not arguably the greatest snowglobe collector on earth, but THE greatest snow globe collector the world has ever know. Bar none. Yes, you read that correctly, Bar none. 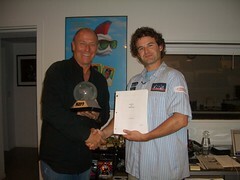 I will take a picture that includes Corbin Bernsen, myself, and the KISS snowglobe. I will then make hundreds of copies of this picture. Those pictures will be individually autographed by myself, Corbin Bernsen, and the KISS snowglobe. I'm not sure how the KISS snowglobe is going to autograph the picture, but we'll cross that bridge when we get to it. For every snow globe that Corbin receives, he will mail one proof of membership to the Corbin Bernsen KISS Snow Globe Army (the autographed picture) to the address you provide him with. The more snow globes you send, the more highly collectible copies of the identical autographed picture you'll get in return. There's no limit to the number of snow globes you can send to Corbin, and no limit to the number of autographed pictures you can get in return. These autographed pictures will never be for sale. Ever. The only way you can get one is if you send in a snow globe to the address above. This offer is opened ended and will never expire! If Corbin and I have to autograph and mail out one million pictures, well, that's the price we'll pay to settle the argument that Corbin Bernsen is infact the greatest snow globe collector the world has ever known. Once again, bar none. So that's it - what are you waiting for? Join the Corbin Bernsen KISS Snow Globe Army (CBKISSSGA for short) and get a FREE autographed picture. We've got an argument to settle! My faith is restored. After some head scratching gambles after the 1 year in phoenix, I can see returns in both awesomeness and value. The Corbin Bernsen KISS Snow Globe Army is brilliant. Corbin Bernsen is still in movies? Why not include a free paperclip with each picture. At least then it's a fair trade. An autographed photo AND one red paperclip! I doubted you. I am sorry. This is a fantastic and unexpected trade. Even if it wasn't Arnie Becker it would be great but with him . . . FINE JOB. Congrats for "going with your gut." Hmmm I wondering if you had this planned all along when you took that globe. Glad to see you back on track. That's an AWSOME turn-around on the globe. Never doubted you for a minute! And I'm totally off to look for a snow globe--maybe mom has one she won't miss! WoW! I came back sooner than later and I am glad I did. Very cool trade with Mr.LA Law himself! Did you know about his collection before hand? Anyway awesome trade. I am looking in my garage for a couple of old snow globes I know are in there somewhere that will have a Great White North feel to them. I feel this next trade should be a good one for sure. Can't wait to see what you get. I should see if I have anything of worth. I also thought you were close to I think you're very close to a house. i knew when you made the globe trade you had a plan....little did i know the plan was going to be this good. I must applaud and kick myself at the same time wishing i had thought of the barter for fame/house route first. That's cool! I know your journey is more then just getting a house but men you most be close. We should start to open bets. How many more trade before he gets it? "Has one of the largest collections in the world of snow globes, over 6000." Kyle, you got lucky with the snowglobe trade! This is such a naive Canadian question - how do I send mail to the United States? Do I need special postage stamps specific for mail to the United States or can I just 'plaster' my envelope with Canadian stamps until I reach the correct cost? And is there anything else I need to think of? i can't wait to hear how many snow globes you and corbin get. i've been watching for a while, but never posted. love this site. All you naysayers and doubters, behold! Kyle pulls the ace from the sleeve. I like the idea. I have a house in keeseville ny if that works. Sheer brilliance...how long was that in the works?! Best of luck! You are a genius... I have nothing more to say, props on the trading. Hope you get that house dude. I was a fool to doubt you - you had this planned from the start. My head hangs in shame, SHAME I tell you! It's really cool. I'm just watching your story in Japan! the Fuji TV spot looked great, I just finished watching it, I hope you get your house. Just now,authoritative human-interest Japanese TV Program"HUSHIGI TAIKEN UNBELIEVABLE"("the unbelievable wonderful experience"　in English) was broadcasted in Japan. a television picture tube And so on! Stick with it!!! I've watched you on Japanese TV. I am a high shcool student in Japan. I saw you on TV,and I was surprised very much. I hope you get a big house!! Hi!! I am a Japanese and I've just watched the tv program about your success here in Japan!! It was amazing. It was really like a Japanese famous folk tale "Warashibe Choja". I'm sure you can get a wonderful house and live "happily ever after"!! just saw you featuring on Japanese TV - pretty cool. Pity the bit wasn't up-to-date and they didn't mention your URL. Fair enough, most Japanese don't speak/read sufficient English but still... maybe they would have traded a role in a movie for a nice old house in Kyoto or something? I will trade you the movie contract for a 9/16" staple.Ok.Two 9/16" staples. Man, I want this so bad. I don't care if the movie is bad or good. What an EXPERIENCE!! I don't think you realize the value of this item. Before just anybody can have a speaking role in a movie, they need to be a member of the Screen Actor's Guild. It's very hard to get into the SAG. Lots of wanna-be-actors try and fail. In order to gaurantee that someone gets this part, someone (whoever is offering the item I suppose) must also be willing to cover the SAG fine for using a non-Union actor. The fine is enough to discourage production companies from using non-Union actors, but low enough for them to be willing to pay it if they really need a specific person for a part. The kicker is--whoever gets the part will automatically become a member of SAG. Which means that any would-be actor wanting to get in to SAG will want this item. Once a member of SAG lots of doors will open (well, depending on the person's talents) that were previously closed. This is something that could literally launch someone career in Hollywood. Yeah, so i thought i'll send a snow globe to this guy. I happen to like paperclips ( especially red ones ) and to begin a trade with a red paper clip does mean something. So anyway, i checked how much it will cost me to get a snowglobe from here, netherlands, to there..and its about 95 euros wich is ( a guess ) 105 dollars. Myeah..so...and because im a realllly poor student ( and need my money for my trip to berlin and another one to paris ohw and dont forget the lowlands festival ) i offer you the snow globe, you just have to come and get it yourself. So, greetings from the netherlands :P anduhh..good luck with the trading, looking forward to the next trade. I will check back often! In response to Danny Carlton's earlier note about being in SAG, that may not be the case. Such a role does not automatically make you a SAG member. There are SAG contracts that producers can sign to allow for non-union work; they could be filming in a right-to-work state; or they can fill out a Taft-Hartley waiver for the lucky recipient. A max of two of those are allowed before that actor must join SAG. That all being said... as an actor, I would kill to be in the movie... but I've got diddly to trade! Dangit. 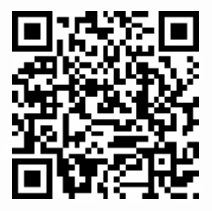 Just found your site while hunting through "odd news". Your idea, however odd it may seem to people, is exactly what happens in the business world every day. I say don't stop at the house. This can go as far as you will let it. I just spent over an hour perusing your site. I was having a rough day, and your work/play/genius has been TRANSFORMATIVE for me. Belly laughs --> faith in humanity. I ain't foolin. Keep it alive. Please push your deadline forward. I am addicted. Is there a One Red Paperclip Legal Department? Because even though I don't have a house to trade, someone who does might be swayed by the SAG question...and the first thing I thought when reading the proposal was "Holy %$&#! A paying job with a speaking role! That's SAG-qualifying!" So yeah...what's the verdict? Man, you going to be cast in history as the greatest "horse trader" in the world! I STILL think that a couple steps backwards were taken. I fear that the fame has gone to his head, and after hanging out with Alice cooper, he has realized that the fame is worth more than the house. Expect a few more steps backwards as this goes on. Wow,, honestly,, If i owned a house,, i would trade it for the hollywood gig!!! If i made enough money from it, i could buy a new house. Or maybe set a carreer, and then get a mansion!! A house is so worth it! To bad I rent,,, do u think they'd let me give away they're house??? Hmmmm? WOW, Talk about the Super Boy Scout. We play this game with our Scouties, usually starting with a piece of string. This is insane, hope you get your house! Keep it going Kyle. I think u will make it happen. Now tell me if someone offered you a house in South Africa, would you take it? Do you realize you have an amazing story here and probably any publisher would love to have your story. That alone has got to be worth a house. CALL RANDOM HOUSE... hahaha, get it. Random HOUSE... they should publish your story, pay you millions for it, and then you could practically build the house of your dreams! Now, here's my question--that one red paperclip is going to be worth a shitload of money someday--how much is that selling for?!?!? I just watched the japanese show that was talking about your story. I was speechless, I would never expect airfare tickets or recording contracts starting from just a little paperclip! I got to say you are one lucky guy kyle! I hope the trade gets bigger and bigger! Good luck on the trade kyle. Just wanted to say that i think this is an awesome concept... and i've got my fingers crossed for you!!! The movie role sounds great, and im sure it's just a matter of time before you get your house! You are a genius! Trading will be the next big thing. Hope you get that house soon. This is the smartest idea I've seen in a while Kyle. I was gonna copy you and do it too but then I decided not to because I'd rather be original and creative. But good idea man and I'm telling all my friends about it. P.S. My dog ate my snowglobe, Sorry! To the SAG expert above: Its probably a non-union shoot aka an indie movie, so I doubt SAG will even be necessary. Just because there's a SAG actor in it, doesnt mean its a major motion picture with a studio. These guys do it for indie films all the time to get street cred and hopes of getting in the goods at sundance. So stop with the SAG knowledge dropping and find something good to trade, bc you know you want the role. WOW Man! You are without a doubt one of the coolest guys in the history of the world. I've been following you on and off for a while, and I'm amazed. This is how the world should work. Forget money, "One man's treasure is another man's trash" as you say. Keep up the good work, my hero. Kyle man, why stop at a house when you're capable of so much more. You've got the world eating out of your hands, everyone from the media to the average joe blogger are hooked on your next move. Its obvious you have a gift, I just hope you realise that when you've been blessed with such a gift you are destined for bigger and better things. I dont expect your story to end with the accumulation of a house, at least i certainly hope not. Kyle I love what you're doing and may yet join the Corbin Bernsen KISS Snow Globe Army. May I suggest that for people outside of North America it may be easier to find an purchase a snow globe on EBay than to pay to ship it to Corbin Bernsen KISS Snow Globe Army World HQ. There are over a thousand currently listed! Good luck with your trading, you have a great instict for it that I'm sure will carry you well through life and allow you to do a lot of good, have a lot of fun and make lots of money. Your house isn't far off. <3 U, Kyle, you're my hero! I am a 12 year old girl and I live in New Zealand. I heard about this from a magazine and its been on the news and radio as well. I just want to say how seriously amazing I think this is. At this rate you wont only get a house, you could conquer the whole world. Also I would love to make a trade for the movie role except I dont really know what kind of stuff your looking for. Could you put the latest bid on the site. I'm pretty sure I can top it!! this has got 2 be 1 of the coolest sites out there. keep up the good work until u get ur house. Wow, I lost faith and I am sorry. I wish I were an aspiring actor with something worthwhile to trade, then I could get REALLY excited. But I'm glad I came back. Good job. I'm not sure I think this is really in the spirit of trading from a paperclip and upwards. In this instance, you're actually producing a lot of extra material - the autographed pictures - in order to add value to your last trade - the snow globe. You will need to invest money in order to do that also. All in all, I think you have strayed from the original concept in that you have had to bring more than just a paperclip to the table in the end when it's summoned up. "Donna on Demand"? Well... sounds like an interesting movie... I guess a lot of people have started of in Hollywood by doing movies with similar names. My name is Brent and I live in Newfoudland . I am really amazed by your story and I am have decided to offer a trade. I will tarde a day long guided tour of St.John's and the sourounding area with yours truly in exchange for a role in the movie. If you are interested then post somehting on your website and I will provide you with my contact information because i dont want to leave it out there for all eyes too see. I'm still going to send the snow globe... even if he doesn't want it!!! Your all the talk again in Montreal! All the local radio & TV stations are reporting about how you've gotten the house! I produce indie films and you can act in a SAG signatory film and be a non-SAG actor. The Production Company has to submit a simple form(along with headshot & resume) requesting the use of the non-SAG actor. It's called a "Taft Hartley". It allows a film maker the option to put a non-SAG actor in their film if they feel only this person would be right for the part. It's a little loop hole in order to get non-SAG actors on your production. A non-SAG actor can recieve up to 3 "Taft Harltey's" before they are required to join SAG. The non-SAG actor is then considered a must join. Also it is not hard to join SAG. The are a few ways to join. #1 by getting 3 vouchers from a SAG signatory production (meaning by being an extra for 3 days or jobs and being lucky enough to get a union voucher). #2 by being in another actors union for 1 year and #3 by being cast in a Principle role on a SAG signatory film.The dues to join SAG is somewhere around $1500.00. The only hard part is getting cast in the roles in the first place. Any budget over $200,000 that has SAG actors in it must hire all SAG actors or the actors must be "Taft Hartley'ed". The only type of "indie" film that you can hire SAG and non-SAG actors without submitting a "Taft Hartley" is at a budget level of below $200,000 and is called the "Ultra Low Budget" Agreement. BTW the only way a film will be fined for using a non-SAG actor is if they don't file for a "Taft Hartley" (which is basically a 1 page form) or by using a non-SAG extra in a speaking role. Doing either one of these things is just plain stupidity by the Production and they deserve to be fined. And that is your SAG lesson for the day!!!! To the above anonymous poster...yup, you said what I was going to say, only you said it a lot better and more clearly than I would've! And Kyle -- nice work! Seriously! And yes, I AM working on something to trade for the role. Gotta do it somehow, and I'm moving to L.A. in two weeks anyway! Incredible! I tried to get NASA to paint my web site WWW.BITLER.US on the side of the recent shuttle lauch but they turned my down. Then I trained pigeons to poop the name WWW.BITLER.US onto the side and they failed horribly! Awesome man! I never would of thought you'd do it. So when is the moving in party hehe. Wow what an awesome voyage! Bravo!!! from one ex-Montrealer to another (now residing in Southern CA where they should be making a movie about your story any minute now! )Good luck with your new home. In the second half (starting at about 36:50) of the http://www.acrossthesound.net/ ATS #41 podcast (http://ripple.radiotail.com/102/ats_41_the_new_marketing_podcast_with_guest_corbin_bernsen.mp3) Corbin comments on how the snowglobe trade came about. Short version: Corbin heard a radio interview with Kyle, got interested in one red paperclip's successful marketing effort, and made an initial generic offer. According to Corbin, Kyle, wanting to make the trade a win-win arrangement, kept the offer at bay until he found the snowglobe, something Corbin collects, so that they both got something out of it. Corbin kept to the terms of the one red paperclip approach by making the offer a standing one, offering it over and over again, allowing Kyle to figure out when it was best to accept it. The podcast includes other details some might also find interesting. amazing story! good job on getting your house! i've played that game with friends but never ended up with a house in the end, the best thing i got was a duck pen. :)I think what you have done is very clever and inspiring. just wondering though... what one thing could persuade you to trade your house? I just found out about this site, and I've been mezmerized by it, and all of the posts. I've heard of other trading sites on the web, and you have inspired me to check them out. I have some cool things that might trade pretty well out there. I'm thinking of sneaking into my daughters room and "borrowing" one of her many snow globes to send to Corbin. I'll bet ya she'll never miss it!!! Congrats on your determination and good fortune. Well done......you have even made the news in Ausi - it's great to see someone with an innovative idea with the intelligence to carry it through with all the trades being based on a win-win situation. good luck for the future - but I think with this type of thinking you will never require another paperclip. THAT´S WHAT I CALL "PODER MENTAL"
SOMETIMES WE THINK THERE´S NO WAY TO COME OUT TO GET SUCCES. Well, I gotta say I was appalled to see what you traded Alice Cooper for ... heck, if I had a spare house, I would have traded it for that! BUT! Gotta say, you came through with flying colours. What a shocker! And quite appropriate, seeing as KISS got their make-up idea from Alice. Tell Corbin another snow-globe is on its way. I would offer 1 week full accomodation in Istanbul, Bodrum and Fethiye (Super cities of Turkey) for this movie role but I am late. You can have the kiss snowglobe sign the photo by making a rubber cast of the bottom, then creating an equal level stamp. Just press the stamp on an ink pad the size of the stamp, or use a roller, and then press it onto the photo. If the photo is too obscured, then press it on the back of the Photo, but with your and corbins on the front. Hi, I've been following your story, Amazing. I should try this to get my business up and running. What next a book deal? well i be mailing out my globe this monday coming. can't wait to receive my picture. I was reading the Readers Digest magazineand saw your article. So i came to check out the site. I think that this was a really cool idea. I just recieved my autographed snowglobe picture and I am elated! I sent in my snowglobe sometime late in the summer and it only proves the snowglobe army is still soldiering on. Does any one know how many Mr. Bernsen has received as a result of this endeavour? www.garykarp.com > Gallery > Categary D > D2. I just finished reading Kyle's book and showed my ten-year-old son the bit about the Corbin Bernsen KISS Snow Globe Army and explained how it was real and he could really get an autographed picture of Corbin with the KISS Snow Globe. He said he just wants to send him one to help out and doesn't care about the picture. I'm so proud: my son gets it! You started, and finished the paperclip trades on my birthday, which is kind of cool! I actually like Corbin Bernsen. He was good in Major League.